My Vitamin D level came back yesterday as 15 ng/ml. I am also anemic. 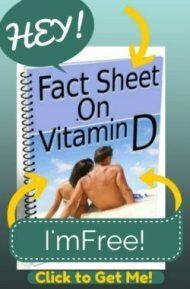 I have never heard of Vit D deficiency and I am a 42 yr old nurse who works in an OBGYN doctor's office and we never test for this. My question is can severe fatigue and hair loss be attributed to the level I indicated above? I am beginning supplementation today as a prescription dose of 50,000iu per week for 12 weeks, then we will retest as well as lower the dose to a daily amount. If the hair loss is indicative of Vitamin D deficiency, will it eventually grow back? I will begin encouraging my doc's to test for this especially where I live up in Maine and we are indoors for half the year. Hi, as a fellow nurse I too had never heard of a Vitamin D test and had certainly never tested a patient for it before. But now that I have been, your severe Vitamin D Deficiency is not unusual- and is also RAMPANT among even so called 'Healthy' pregnant women as well!! I'm SO glad that you found about about your Vitamin D Deficiency. 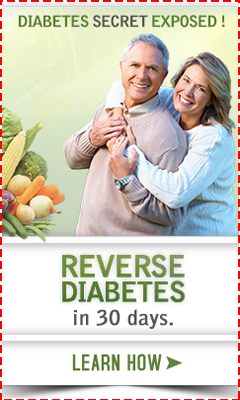 Be sure that you follow up and get your vitamin D level rechecked again in 3 months or so. But your anemia and hair loss are not likely due to the Vitamin D Deficiency. Your symptoms are more likely due from a 'general' inability or inefficiency at absorbing nutrients. What I suspect is that you have Gluten Sensitivity. If you are not absorbing nutrients, then it's likely that gluten is the culprit. In fact, anemia is one of the MOST OVERLOOKED presenting symptom of gluten intolerance. There are many research studies stating that all cases of unexplained anemia should be screened for celiac disease. Chronic anemia could also be caused by the H Pylori Bacteria, a stomach infection that can cause many subtle symptoms. So, did you hear that. Your malabsorption could be due to a disease that you are as yet unaware that you have. And most doctors just don't have this information! "...gliadin [AKA gluten] activates zonulin signaling irrespective of the genetic expression of autoimmunity, leading to increased intestinal permeability to macromolecules"
What they mean is that even healthy people get 'Leaky Gut' when they eat gluten! So, even if you do not have Celiac Disease, it's likely that you have a 'leaky gut' that is contributing to your problems and you would benefit from a gluten free diet. To get started on a Gluten Free Diet, get the downloadable Essential Gluten Free Guide to walk you through everything that you need to know.